The 400 Years of the Telescope project is an exciting multimedia celebration of Galileo's first telescopic observations of the cosmos, and the resulting journey of discovery for humanity. The project partners are proud to share their corner of the IYA2009. Companion full-dome and traditional planetarium program, Two Small Pieces of Glass, distributed by International Planetarium Society. Coordinated outreach programs with educational organizations, amateur astronomy organizations, national broadcasters and planetariums. 400 Years of the Telescope project partners include; Interstellar Studios, Southern Oregon Public Television, ‘Imiloa Astronomy Center of Hawaii, Carnegie Science Center, the Astronomical Society of the Pacific, and the Institute for Learning Innovation. Spearheaded by Interstellar Studios, with the support and guidance of 400 Years of the Telescope Advisory Board members, the project concept emerged in the fall of 2007 with the intention to support International Year of Astronomy 2009 goals. 400 Years of the Telescope Advisors and Kris Koenig, Producer / Director began to design the project to include media products that link the public with activities, in order to create awareness, harness interest, and educate the public about achievements in astronomy, and other sciences, made possible through the discovery of the telescope. 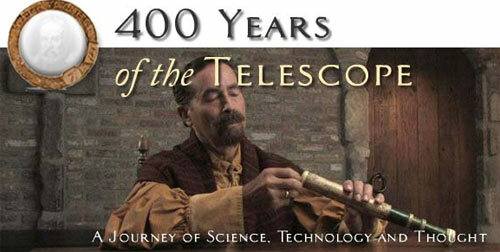 Go to the 400 Years of the Telescope website.